There’s a lot to taste and experience in the picturesque landscapes of France and Italy. 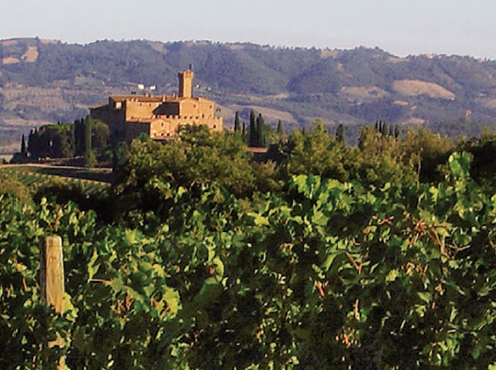 Uncorked and Cultivated offer authentic epicurean food and wines tours to iconic regions like Bordeaux, Champagne, Tuscany, Sicily and more, hosted by Master of Wine Peter Scudamore-Smith. Their small-group tours focus on delivering the best of each region. Immerse yourself in French culture on an exclusive tour of Champagne, Burgundy and Rhône and discover the perfect French food and wine pairings. Tour dates from 22 May to 1 June 2018, A$7.700 per person. Uncorked has also partnered with Travelling Divas to announce their first female-only itinerary. Experience the Tastes of Rome and Sicily on a tour combing glamour, culture and the divine food and wine of Italy. Tour dates from 6 to 16 September 2018, A$7,450 per person.